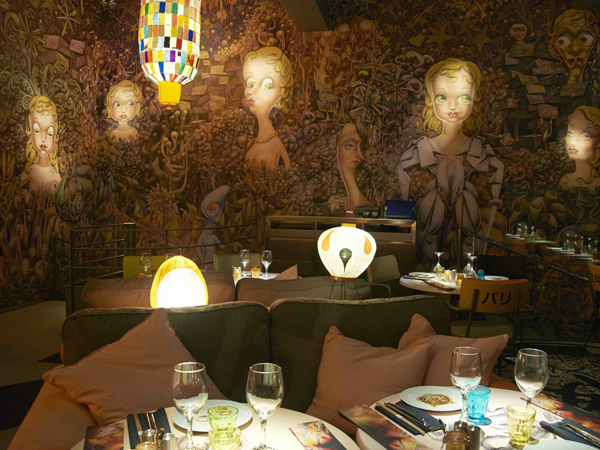 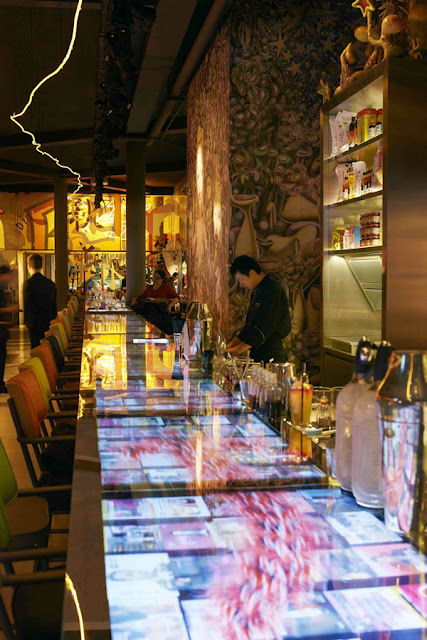 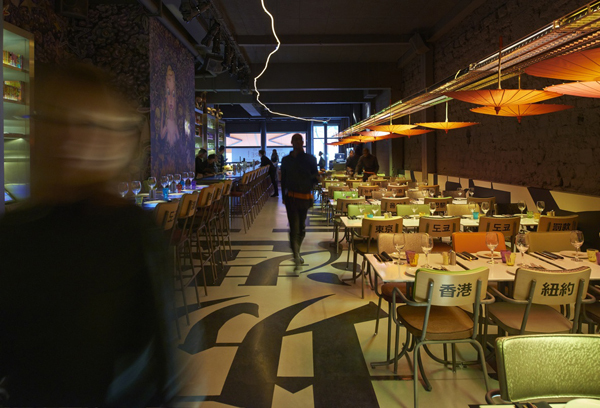 In the heart of the tranquil and conservative 8th arrondissement of Paris, on the famously chic Avenue George V, French restaurateur and designer Claude Louzon and Philippe Starck have opened a rebellious and fantastical new canteen. 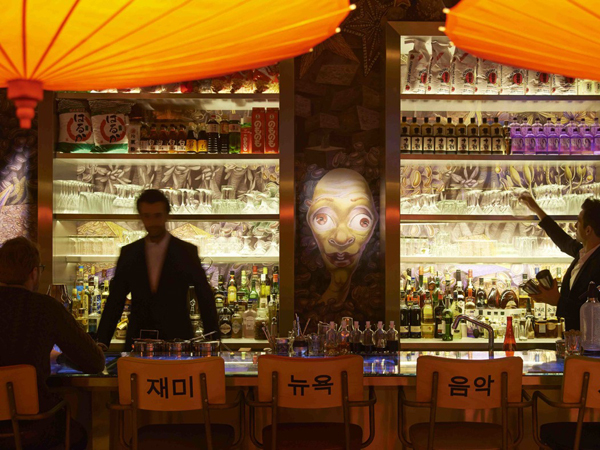 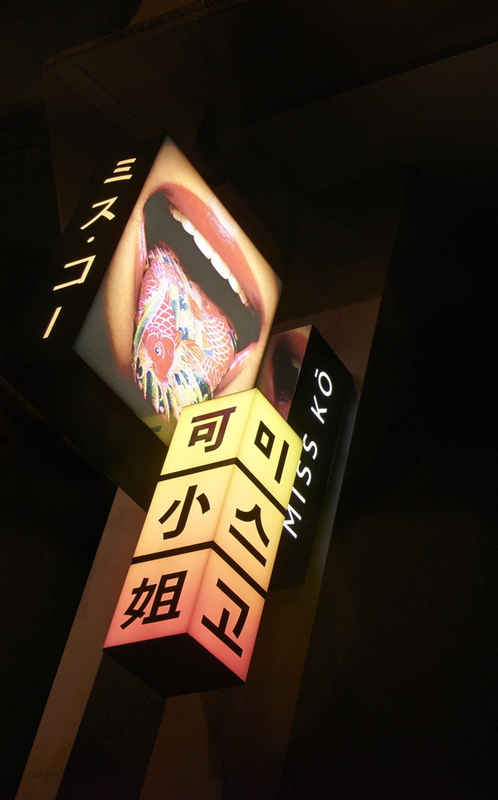 In Philippe Starck's own words, "Miss Ko is a kind of madness that should be a lot of fun, especially in an area that really isn't." The designer took inspiration from the cyberpunk atmosphere of cult movie Blade Runner to create a multi-sensory experience that he wanted to be like a video game's warp zone - a parallel dimension to the everyday life continuing outside. 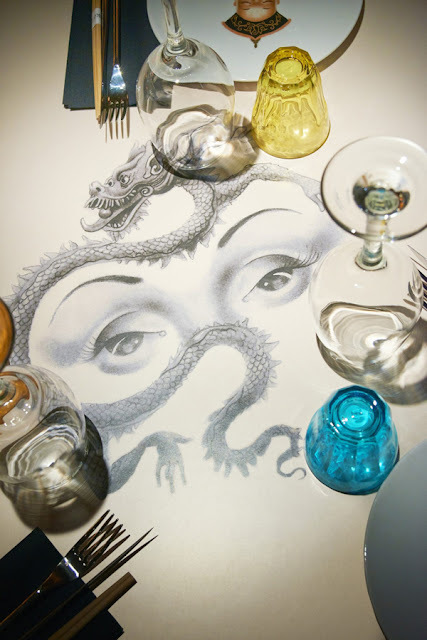 Events will be scheduled regularly with DJ sets, photo exhibitions, film viewings and other happenings focusing on the five senses. 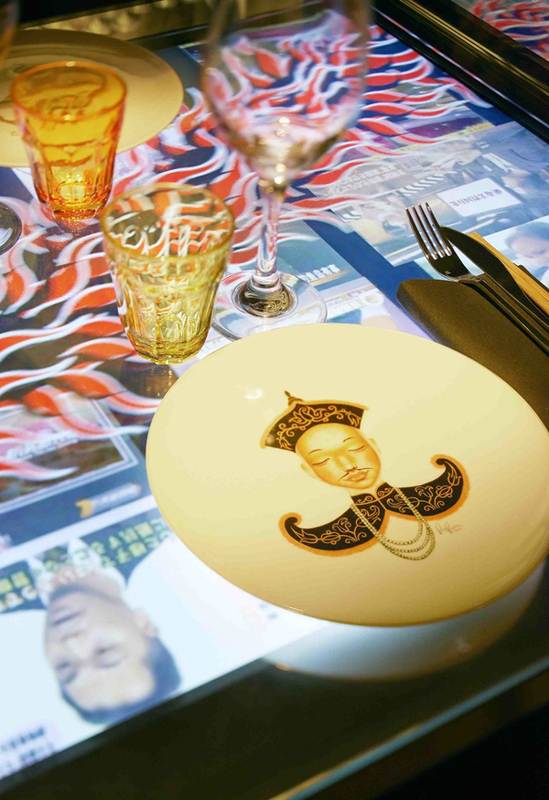 In the long and narrow space of the restaurant, the designer juxtaposed several ambiances, images and messages, that justly bring to mind the busy atmosphere of Asia's street markets - complete with the smoke-releasing open kitchens. 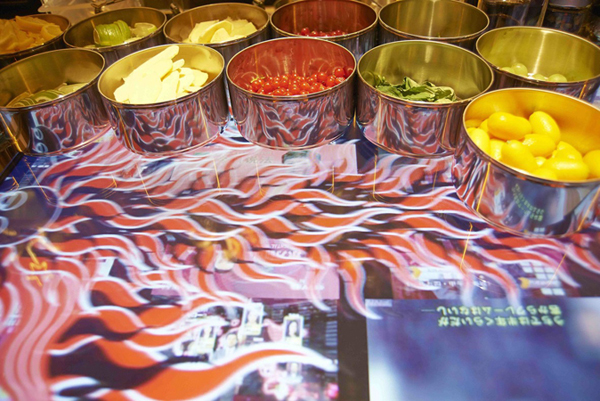 With street food becoming such an important trend and food trucks parked in every corner of the world, it is no surprise that the concept should be brought inside of a restaurant. 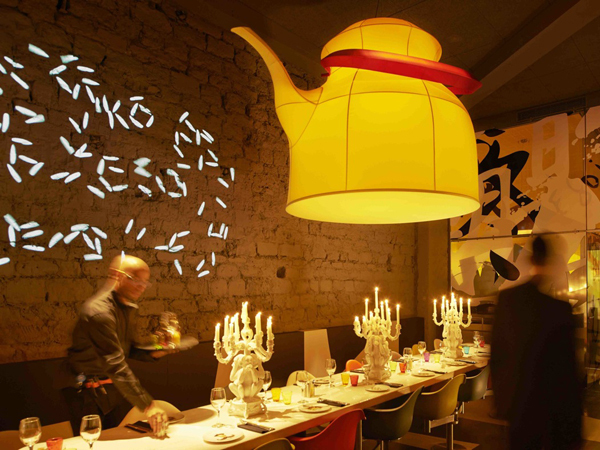 "This is one of my visions of what the world is going to become: a melting pot, a mix of all civilizations and ethnic groups, of all ways of eating," says Starck. 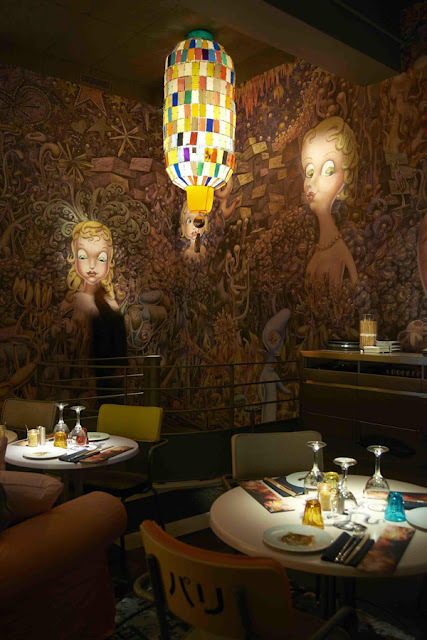 A luxuriant fresco by multidisciplinary French artist David Rochline runs along the whole surface of a 15 metre-long wall. 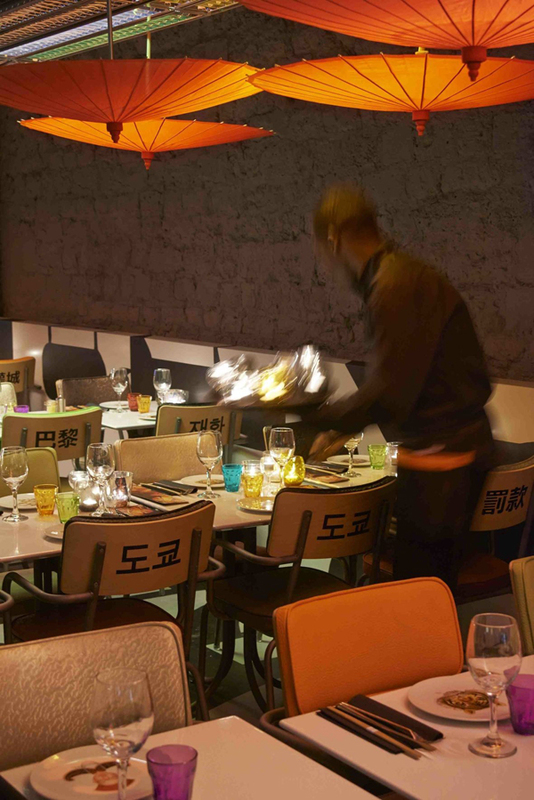 The menu is as playful as the venue, with Asian dishes reinterpreted by the chef, resulting in inventions like foie gras spring rolls and boeuf bourguignon gyozas.